Chitrakoot: Union minister of state for Health and Family welfare Anupriya Patel has urged from doctors fraternity that they should serve the society with full dedication. After unveiling statue of Sardar Vallabh Bha Patel here at Patel tri-junction on Monday, Ms Patel said every eligible candidate should get all benefits of government schemes. She instructed concerned officers to provide all medical facility given by the government. Ms Patel was here on one day visit and she took a review meeting with government officials and public representatives. She also warned some of them to change their working culture for betterment. Union minister said all government officials should be accountable to the public. Local MP Bairo Prasad Mishra also raised some issues regarding the behaviour of health officials following which Ms Patel issued directives to improve the behaviour towards the public. Give MBBS doctors working in rural India facilities at par with BDOs and SDOs first. After 3 years rural service, give them chance to persue postgraduation according to their merit, and from rural PHCs, post them in the Blocks or CHCs with better infrastructure and according to their seniority give them postings in District hospitals. But these are never going to happen anytime soon in the near future. It is a good attempt by the minister regarding advice to the budding Doctors for the dedicated service to the society , but the new Clinical establishment law which will encourage the Corporate type of establishment will be promoted in the big cities. But in the rural setup this may be a set back to the existing seniors who have setup consultation services with the minimum available place to the rural area. 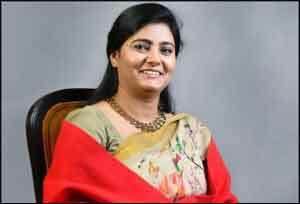 Chitrakoot the temple town between 2 big states of India , U P & M P. Miss Aupriya Patel minister for state ministry of health and family welfare urged the doctors fraternity to serve the community with dedication. Sounds good , unfortunately due to redtapisism, UNNESSESSRY INVOLVEMENT & INTERFACE by the unprofessional BABUS THE BUEROCRATES , having no or less or wrong knowledge things can never happen the way it should be . First and foremost the BUEROCRATES SHOULD BE kept away from all admistrative affairs of both medical education and health care releated issues with out further delay. As long as these nontechnical , unscientific , HIGHDEAD ARROGANT AKWARD ADMINISTRATORS are acting like bosses for highly qualified professionals having knowledge, skills, experience , expertise , sincerity and service motivated doctors( As rightly told by U P CM SRI ADDITYA YOGIGI- DOCTORS ARE NOTHING BUT GODS ON THE EARTH). I AM SURE THEY ARE , UNLESS CONTAMINATED BY CASTIEST COMMUNAL CORRUPT , CORPORATE ,CARELESS ATTITUDE. ( I HAVE COME ACROSS SUCH ONE\’S ALSO). IT IS MY SUGGESTION TO THE YOUNG MINISTER TO PUT FORWARD MY VIEWS ACROSS TABLE WITH YOUR FELLOW MIMISTERS & ALSO OUR P M NARENDRA MODIJI. BABU MUKTHA BHARAT is the only way to make our country to catch up with the DEVOLOPED WORLD. \”\” BHAGAV DESH BACHAV \”\”.Bholoo Bharat MATHI ki jai……vande martharam.